Description of Business Models. Explanation. Business Models are systems by which businesses can sustain themselves and can achieve their corporate purpose, mission and strategy. 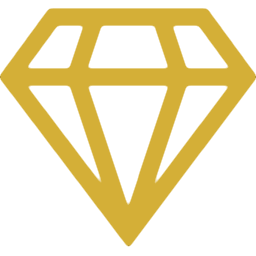 It is a description at a strategic level of the way an organization creates, delivers, and captures economic, social, or other forms of value. They apply to commercial, not-for-profit and government organisations. Customer Value Proposition. The way to create value for customers, to solve a problem for them. Profit Formula. How the company creates value for itself while creating value for its customers. Key Resources. The most important assets to achieve 1 and 2 and their interaction. Key Processes. The most important routines and tasks to achieve 1 and 2. For example product design and development, purchasing, manufacturing, marketing, IT. But also rules and metrics, such as margin requirements, credit terms and lead times. Typically a business model takes the form of a company or a Strategic Business Unit. Advertising, Affiliate, Auction, Bait and Switch, Bricks and Clicks, Brokerage, Community, Customer Loyalty, Disintermediation, Dutch Auction, Franchising, Industrialization of services, Infomediary, Marketplace, Microfinance, Monopoly, Multi Channel Marketing, Network Effects, Pyramid scheme, various Retail Types, Reverse Auction, Subscription, Utility, Freemium, etc. Because the name of a business model is associated with an entire way of doing business, it can be used to refer to a complex organizational setup in a simple way. In their handbook Business Model Generation: A Handbook for Visionaries, Game Changers, and Challengers, Alexander Osterwalder and Yves Pigneur describe the Business Model Canvas, a generic business model template (picture), which can be used by "visionaries, game changers, and challengers striving to defy outmoded business models and design tomorrow's enterprises" to describe virtually any business model. 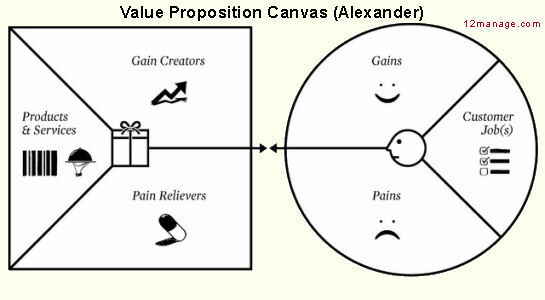 Alexander has added to this work with a sub-canvas which is used to ensure alignment between the customers “jobs to be done” and the organization's value propositions. 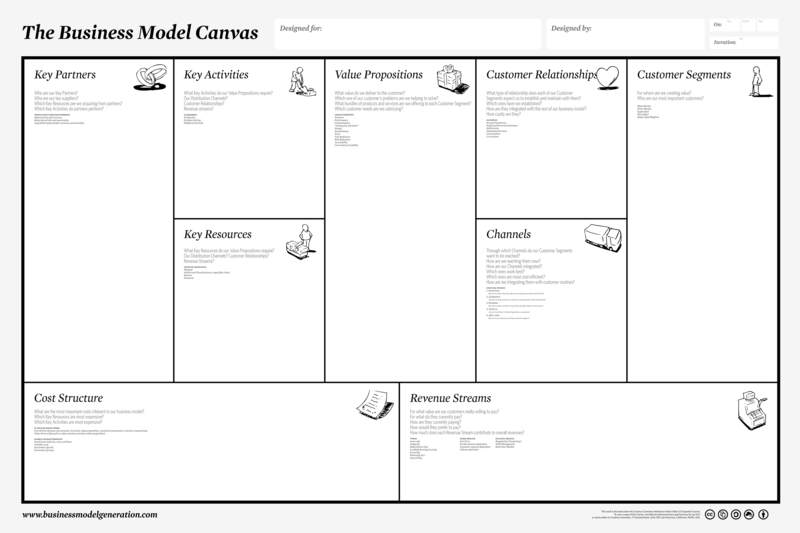 He originally referred to this as the Customer Value Canvas. 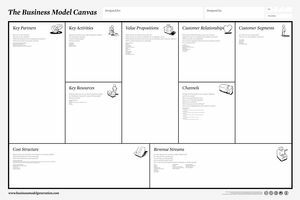 The Value Proposition Canvas is used to test the known and anticipated customer needs against the organization's offerings by looking at how the organization creates “gains” and eliminates “pains” for the customer. Dear all, I am new here and I really need help. This ends our Business Models summary and forum.